GRAFENWOEHR, Germany — August is Antiterrorism Awareness Month. And now more than ever your vigilance is required to protect us and our mission. Terrorism continues to be a growing threat, abroad and at home. The best protection that we have is our monitoring. Pay attention to your surroundings and if you observe something suspicious or questionable – report it! Antiterrorism, refers to “defense measures used to reduce the vulnerability of individuals and property to terrorist acts,” according to the Department of Defense Dictionary of Military and Associated Terms. Antiterrorism deals primarily with risk assessment, the establishment of authorized actions to prevent terrorist developments, and various training procedures for preparation of the onset or consequences of a terrorist attack, according to the DOD instruction on antiterrorism standards. As terrorist threats become more internal in nature, the success of an antiterrorism campaign depends greatly on individual’s involvement and readiness to identify and report suspicious — and potentially terrorist — behavior. The Army asks all members of the installation, including DOD personnel, families, and contractors, to strengthen situational awareness, remain informed of changes in risk assessments and updates to antiterrorist standards, and assume a level of responsibility for the community’s defense against internally-derived terrorism. What is the garrison doing to protect me? The 7th Army Training Command is headquartered here in Grafenwoehr. The Commander of the 7th ATC is the General Officer for Force Protection at U.S. Army installations in Ansbach, Garmisch, Grafenwoehr, Hohenfels, Illesheim and Vilseck. The GOFP antiterrorism and force protection guidance. The USAG Bavaria Antiterrorism & Force Protection Office is located at Tower Barracks, Bldg. 500, in Grafenwoehr. The office aims to protect personnel, their families, facilities and material resources against any threat, including a terrorist attack. 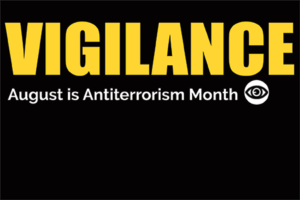 The office works in coordination with the USAG Bavaria Public Affairs Office to release information to the public regarding any potential security or terrorist threat to the community. The PAO and Antiterrorism & Force Protection officer provide the most current force protection conditions in accordance with GOPF guidance at www.bavaria.army.mil/fp. This is where to go to get the latest on what you can and cannot do as a member of the DOD. During an emergency connect to the garrison Facebook page for updates and guidance, and tune into AFN Bavaria. Use the Army’s iSalute suspicious activity report. Submit a report online at www.inscom.army.mil/isalute. Call the MPs. From Grafenwoehr and Vilseck, dial DSN 476-3398/3397, CIV 09662-83-3398/3397. From Hohenfels, dial DSN 466-2812/2713, CIV 09472-83-2812/2713. From Garmisch, dial DSN 440-3801/3827, CIV 08821-750-3801/3827.